Forgotten Bird of Paradise filmmaker has been interviewed by the Daily Telegraph newspaper. Confirming suspicion that the foreign media ban was an attempt to conceal human rights abuses from the world, Brown’s footage captures the brutal struggle for freedom being fought by the West Papuans living under Indonesian security force rule. Coinciding with President Obama’s visit to Indonesia, the release of Forgotten Bird of Paradise on a new Best of Raindance Film Festival DVD compounds pressure on the president to re-examine his country’s policy of support for the Indonesian security forces. In his first interview with the British press, Brown, a 29-year-old Londoner, said: “I first visited West Papua in 2002 when I was backpacking after university, at which point I knew nothing about the conflict. “It was like apartheid. Indonesia’s transmigration policy has resulted in thousands of Indonesians being shipped over to West Papua, taking control of the towns and the jobs to the point where the West Papuans have been marginalised to near-extinction. Resistance results in death. Formerly a Dutch colony, West Papua was signed over to Indonesia following a military-supervised vote ironically called The Act of Free Choice in 1969. The Indonesian government firmly rejected the possibility of a one-person, one-vote plebiscite, insisting instead on a series of local “consultations” with just over 1,000 hand-selected West Papuan tribal leaders (out of an estimated population of 800,000), conducted with a presence of between 6,000-10,000 Indonesian troops spread throughout the territory. The National Security Archive has since revealed declassified memos between the Indonesian and US governments detailing US support for Indonesia’s heavy-handed takeover of West Papua despite overwhelming Papuan opposition and UN requirements for genuine self-determination. Returning to London, Brown joined the Free West Papua Campaignand met with Benny Wenda, a former West Papuan tribal leader whose family was killed in a Indonesian military bombing raid and who was granted political asylum in London after escaping from custody in West Papua. 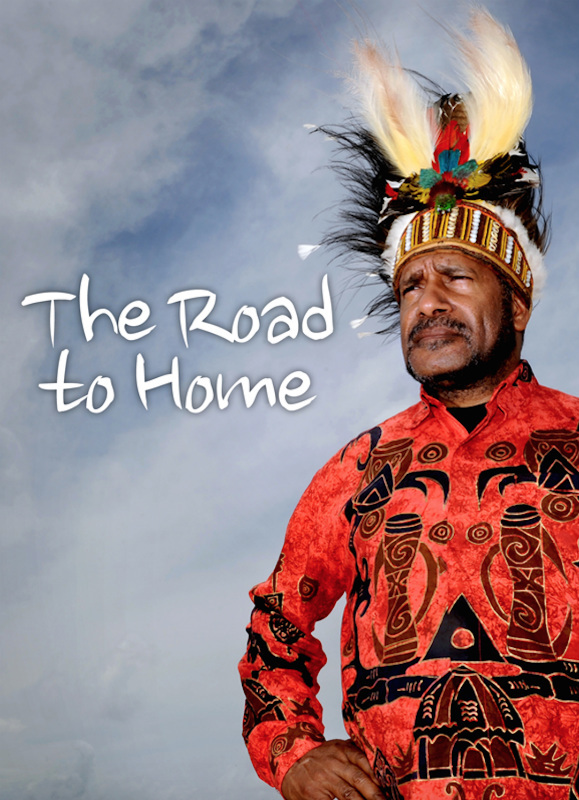 With the help of his London campaign activists he returned to West Papua under the guise of a tourist and was taken under the wing of local independence activists who escorted him on a two-week journey on foot and by car to the rebel HQ in the highlands of West Papua. “I was extremely lucky. There were times when I thought I must have God on my side, like when we had to pass through a military checkpoint and I was in the back of a pickup, hiding under tarpaulin with my camera. They wanted to look underneath but it was raining so they just waved us through. “Despite being protected by the rebels, there would have been no contest if I had been caught. You are talking men with bow and arrows fighting soldiers in helicopter gunships,” he said. 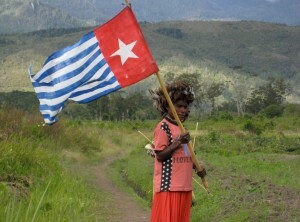 The footage, which shows the rebels arriving at the highland camp and the ceremonial raising of the West Papuan Morning Flag, also includes an interview with polictical prisoner Yusak Pakage, who is serving 10 years for treason after being caught raising the flag in 2004. The interview was recorded in secret while activists distracted the guard assigned to the ward where Pakage was being treated for torture injuries.